Combining hi-tech scientific knowledge with the best natural ingredients available, KEVIN.MURPHY products provide the tools to recreate high-fashion runway looks in the salon or at home, while always remaining kind to the environment. A powerhouse of antioxidants from known natural sources such as Kakadu Plum, Orchid, Lotus Flower and Desert Lime; help to reduce breakage and assist in repairing the look and feel of chemically damaged hair. Launching this November in all of our hotel suites is an exclusive collaboration between KEVIN.MURPHY and Meriton Suites. The Repair-Me range works to nourish and strengthen the hair, perfect for travellers on the go. The collection is an indulgent blend of dark and luxurious blackcurrant that comes to life with sparkling accents of vibrant mandarin and nature-inspired green. The fragrance is completed by notes of delicate florals and a sultry dry down of amber, woods and musk. The Repair-Me range can now be experienced in all hotels across Sydney, Brisbane and the Gold Coast. 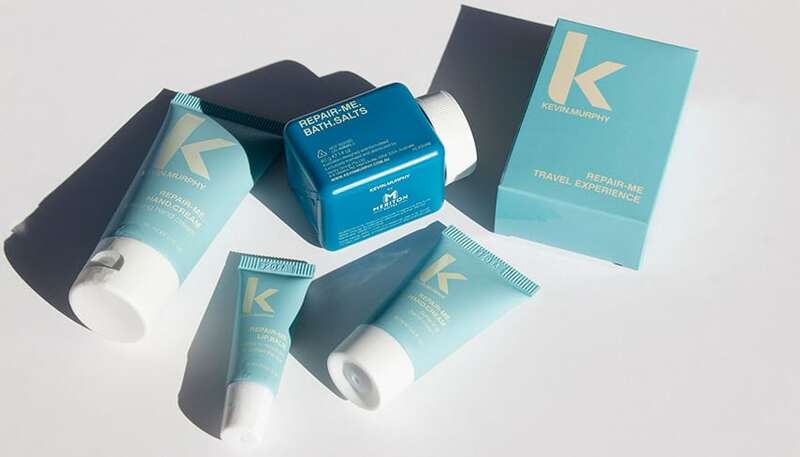 KEVIN.MURPHY is an official amenities partner of Meriton Suites and operates as a separate entity to the Meriton Suites brand. Meriton Suites in no way owns KEVIN.MURPHY or any of its affiliated brands.